Some people get really into Black Friday. They leave their family dinners early, camp in the mall parking lot, spend hours studying the sales, and will commit to fighting through the crowds at local malls to get those deals. However, Black Friday isn't for everyone, and there are plenty of stores that will not be open on Thanksgiving day or Black Friday. I am not one of those people who like to shop on Black Friday (even though that may come as a shock to some of my friends who I talk to for hours about my shopping hauls). I can't think of anything worse than standing out in the cold, waiting in line with hundreds of people, especially when I could be feasting on turkey and pumpkin pie. A lot of stores have been criticized for starting their Black Friday sales as early as the afternoon of Thanksgiving, so it's nice to see that some companies are going in the complete opposite direction and not opening at all on Thanksgiving, letting their employees enjoy the holidays. 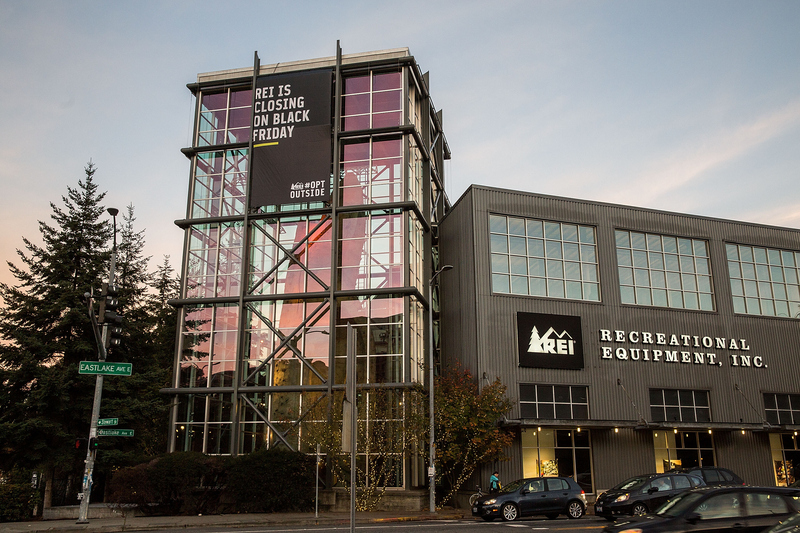 This year, one of the stores that got the most publicity for staying closed on Black Friday was REI, who has decided to close on Thanksgiving day and all day Black Friday, encouraging customers to #OptOutside, a position that truly reinforces their brand values as an outdoor retailer. While REI is the only popular national chain store closed on actual Black Friday, a few of your favorite fashion stores aren't opening until actual Black Friday, aka they're staying closed on Thanksgiving day. Nice to see that a department store like Nordstrom will be staying closed throughout Thanksgiving, even though its competitors are opening early. You're just going to have to wait until Friday to do some discount department store shopping. If I have to wait until Friday to buy heels, you can, too.